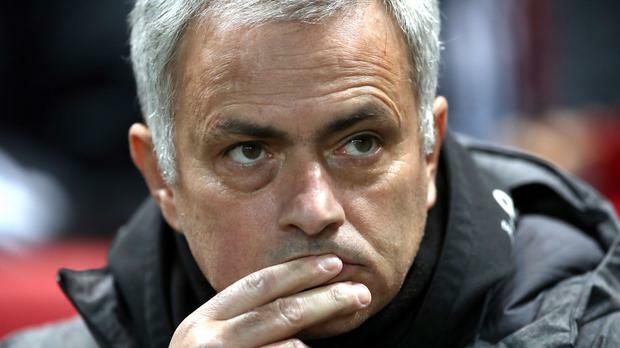 Manchester United manager Jose Mourinho believes Premier League leaders Manchester City's spending power has "no limit". United trail their cross-city rivals by 15 points and earlier this week Mourinho insisted the near £300million his club have spent since he arrived in the summer of 2016 was insufficient. The Portuguese feels City counterpart Pep Guardiola has been able to buy whoever he desires, regardless of cost, and insists such an approach has made it more difficult for others to keep pace. Mourinho said: "Pep arrived, he has the goalkeeper of England (Joe Hart). He doesn't like him, he buys the goalkeeper of Barcelona (Claudio Bravo). He doesn't like him. He buys another one (Ederson) now, he likes. "Can we buy six or seven players at the same time? Can we invest £600 to 700million? No. So, it's difficult. "I think in the last years the market is going in such a direction that you belong to one of these clubs where there is no limit and you just buy what you want, no Financial Fair Play, there is nothing, you do what you want, or it's hard. "I don't want to take any credit from what they (City) are doing, their players, staff and the club overall, not at all, but it's difficult (to compete with them). "Is it possible? Yes. Potentially we have as a club (those finances), but we are not that profile of club where there are no limits and the only thing that matters is to get the best. "Even with that, there is only one way which is patience and calm. And time." Mourinho, who admitted it was unlikely he would buy anyone in January, certainly has vast sums of money to call upon, too, having recruited Paul Pogba and Romelu Lukaku in successive summers for a combined total of more than £150million. "My club spends. Two years ago we paid a lot of money for Paul and last year paid a lot of money for Lukaku," he noted. "I am pretty sure that next year it is going to pay a lot of money for one player, but we are doing these things with some balance because it's the profile of the club." Another manager's spending has also piqued Mourinho's interest after Liverpool made Virgil van Dijk the world's most expensive defender by paying Southampton £75million for him. He will arrive in January, 18 months after Reds boss Jurgen Klopp suggested he would quit the game if fees like the one Pogba commanded became the norm rather than the exception. "If I was one of you I would ask him about his comments about one year ago (when Pogba signed)," Mourinho said. The United boss added: "When he arrived at Liverpool he trusted a lot his quality as a good coach, as he is. He said a few words and I think now he realised that is not enough to be champions - to win the Champions League, to win trophies, he needs more. "Now they realise they have to go to the same levels of the crazy market because if they don't, if they offer £40million, Southampton doesn't sell them the player. That's the reality."